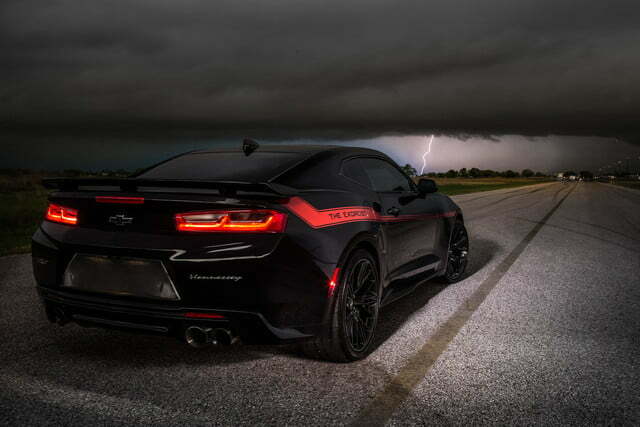 Can Hennessey’s 1,000-hp Exorcist Camaro send Dodge’s Demon back to hell? 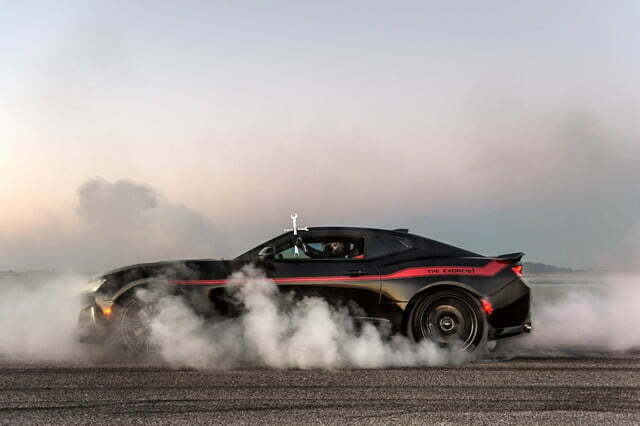 Demon, begone! 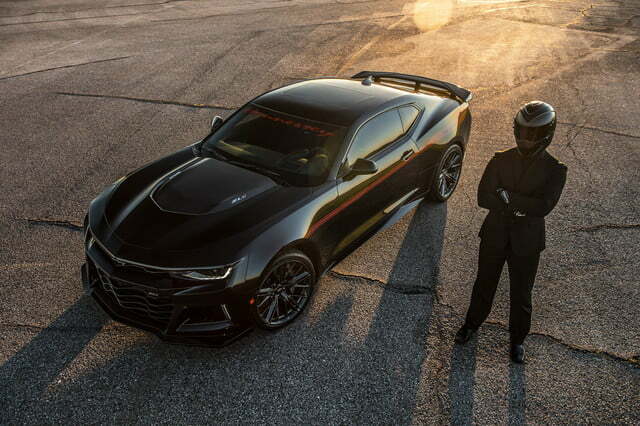 American tuner Hennessey has released a 1,000-horsepower muscle car named The Exorcist developed to stop the upcoming Dodge Challenger Demon from possessing the minds of drag racing enthusiasts. 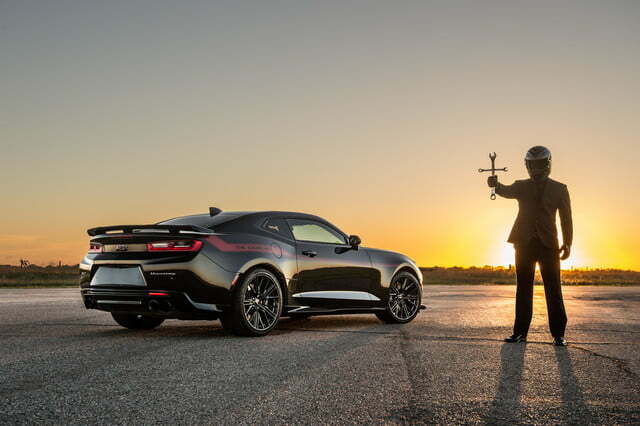 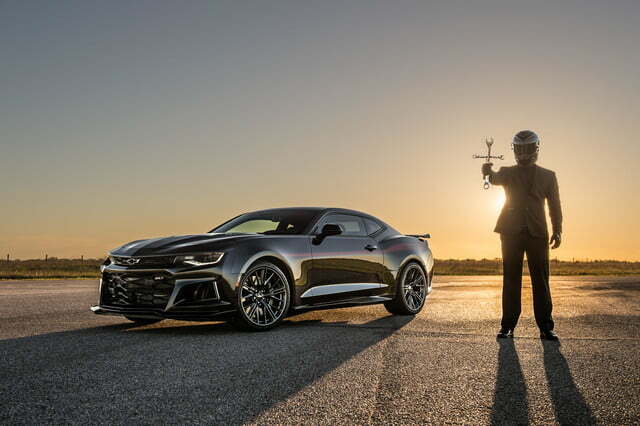 The Exorcist started life as a 2017 Chevrolet Camaro ZL1, which already stands out as one of the most capable high-performance coupes on the market. 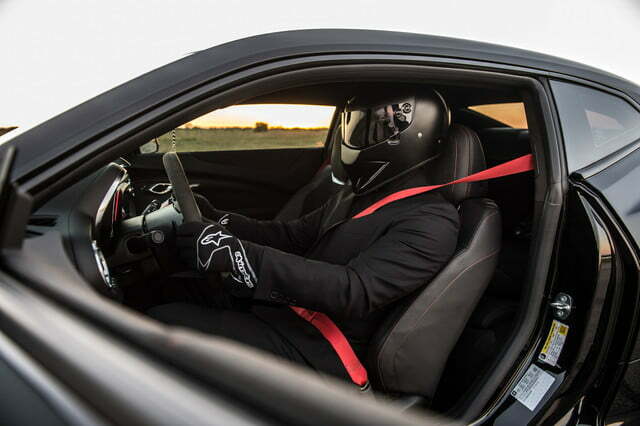 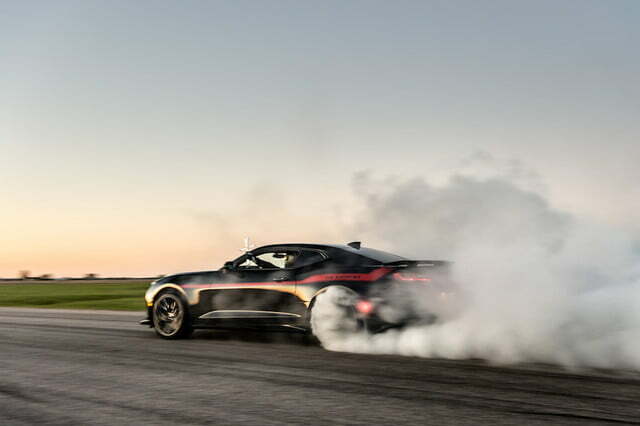 Hennessey’s engineers bumped the supercharged 6.2-liter V8 engine’s output up to 1,000 horsepower at 6,400 rpm and 966 pound-feet of torque at 4,400 rpm. 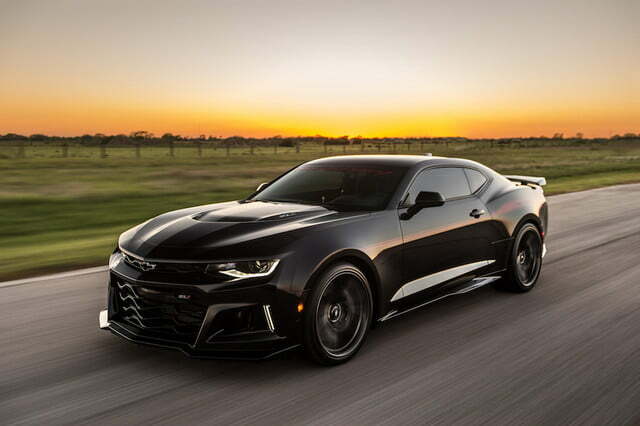 The list of upgrades includes a bigger supercharger, a high-flow intake, new cams, custom engine management calibration, and likely a little bit of black magic. 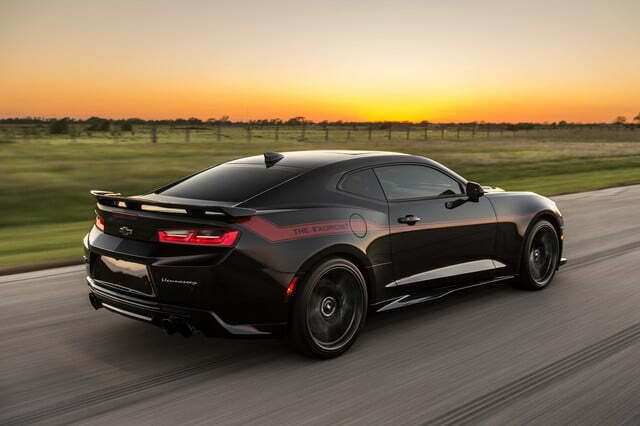 The V8 spins the rear wheels via either a six-speed manual transmission or a 10-speed automatic transmission. 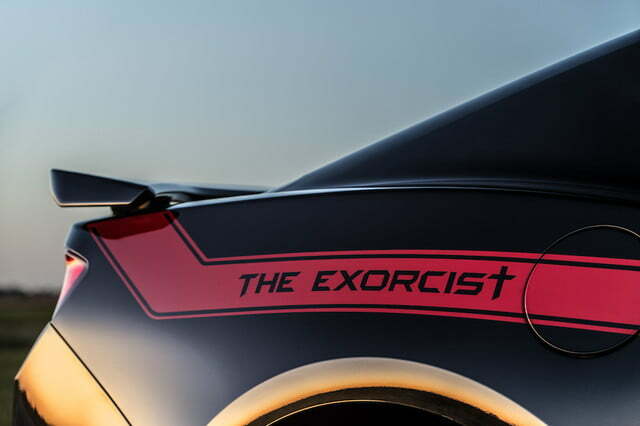 We don’t know how much horsepower the Dodge Challenger Demon will boast yet, but it almost certainly won’t top The Exorcist’s output. 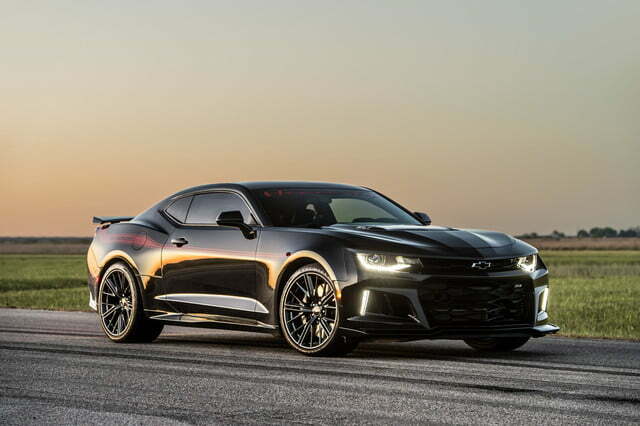 Stuffing 1,000 horsepower under the hood of a Camaro ZL1 yields an impressive 0-to-60 time of under three seconds, and a quarter-mile time of less than 10 seconds. 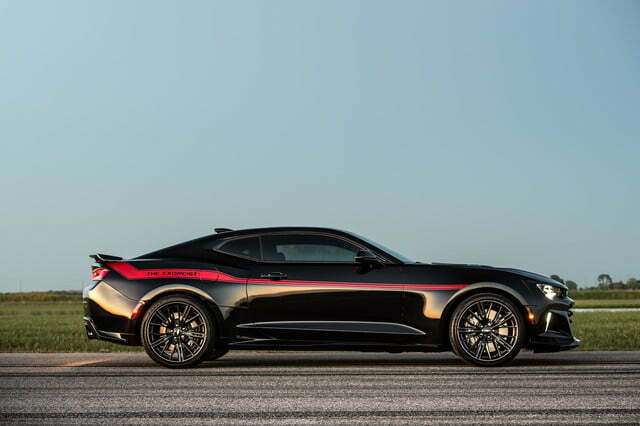 We’re anxiously waiting for Dodge to finally show us the Demon to find out how it stacks up to the coupe developed specifically to cast it out. 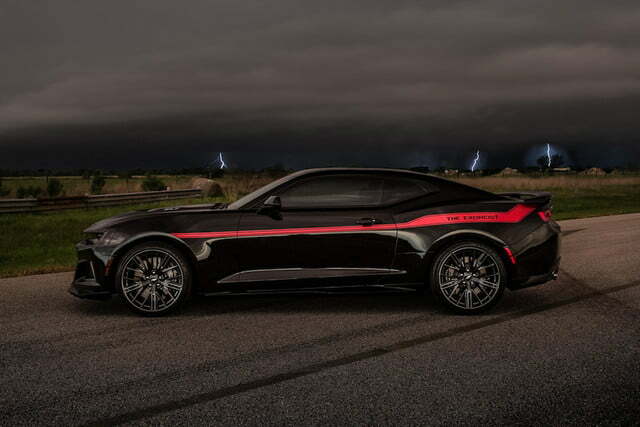 The mechanical modifications are accompanied by red decals that stretch from the front wheel wells to the trunk lid, and a discreet Hennessey emblem on the right side of the rear bumper. 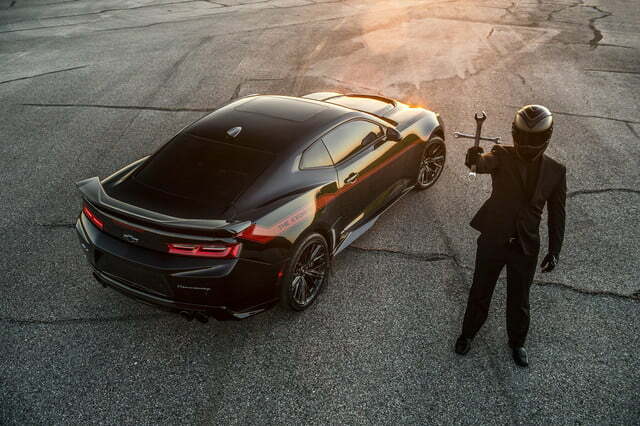 Both can be removed for the ultimate wolf-in-sheep’s clothing look. 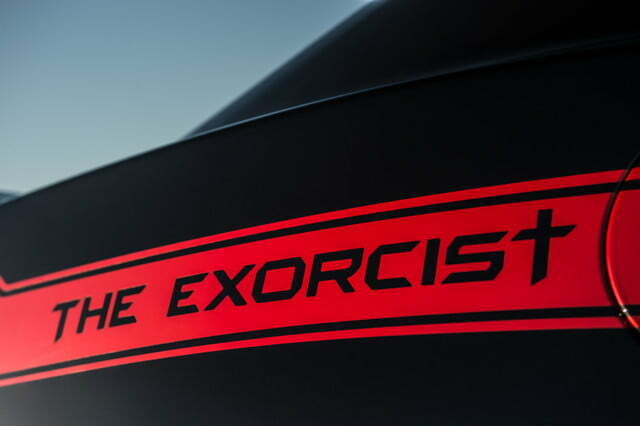 Enthusiasts worried about being possessed by Dodge’s high-octane Challenger Demon need to act fast, because Hennessey will build just 100 examples of The Exorcist per model year. 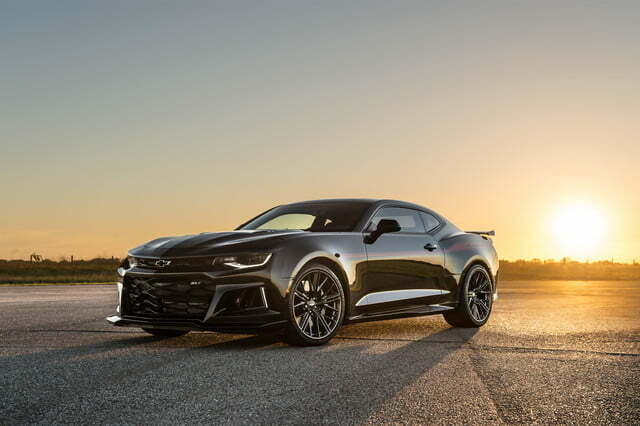 The conversion costs $55,000 — a figure that includes the graphics and the upgraded drivetrain — and the Camaro ZL1 carries a base price of $62,135. 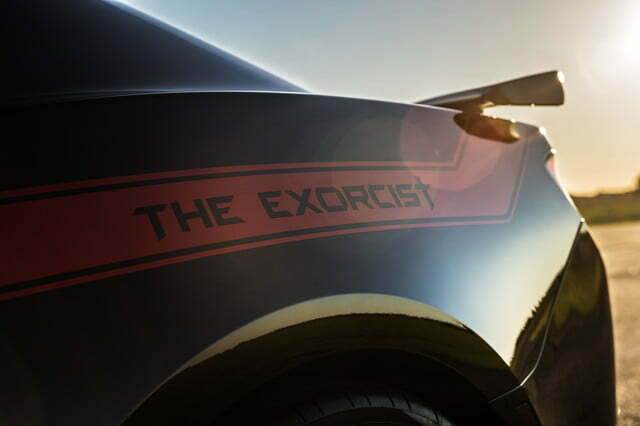 Buyers can order The Exorcist directly from Hennessey, or from participating Chevrolet dealers around the nation. 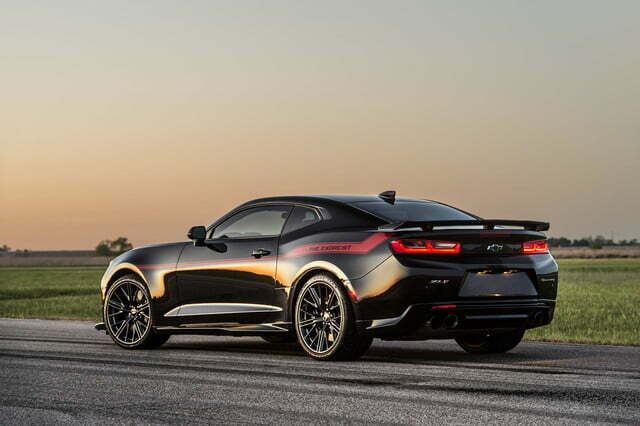 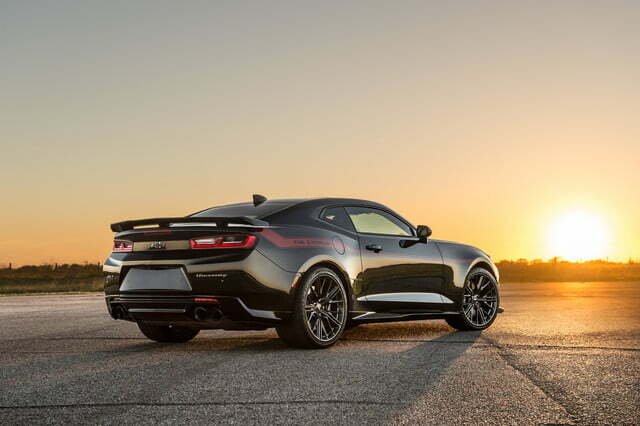 Alternatively, those who already have a ZL1 in their garage can send it to Hennessey headquarters in Texas to have it transformed into the muscle car to rule them all.